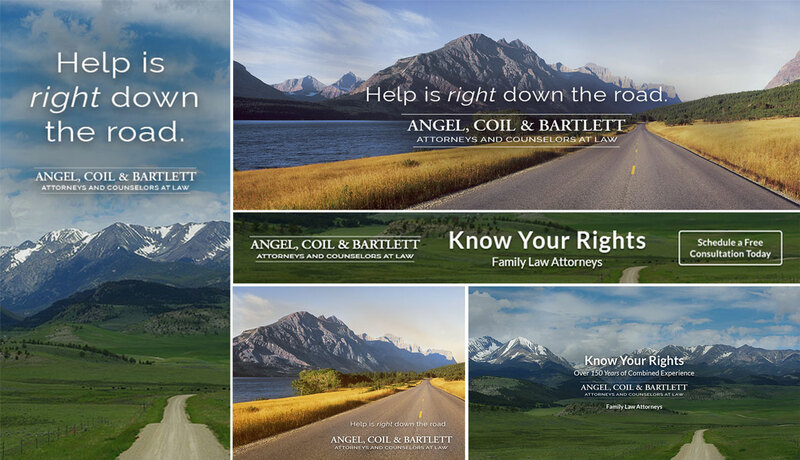 Angel, Coil & Bartlett has helped citizens in the Bozeman area know and understand their rights for many years. The firm has represented individuals in the areas of personal injury, criminal defense, business, probate, real estate, and more. Prior to working with Big Storm, the firm largely focused on phone book and print advertising to reach an audience that had moved on into the digital space. Big Storm started by creating targeted content and optimizing existing content for search engines, client more visible on Google and Bing. We then developed a PPC marketing strategy and implemented it on Google Adwords, Bing Ads, and Facebook. While navigating the expensive world of paid search for attorneys, we were able to cut costs, reduce wasted expense and optimize ongoing campaign efforts while bringing in quality clients for the firm. We also designed two mobile-friendly websites and improved Angel Coil and Bartlett’s search engine presence with minimal oversight due to our trusting long-term business relationship. We started with the end goal in mind: Obtaining new clients for Angel, Coil & Bartlett. First, we identified the goals of a phone call or a contact form filled out. Next, we took steps to identify the journey that potential clients would take to find them, using search trend information. From there, we mapped the process and looked at where we could improve the customer journey. Obvious areas were search, paid search, and social media. We also looked at what potential clients needed in terms of trust and/or proof of credibility. Marrying those elements with Angel, Coil & Bartlett’s core value of knowing their rights and their calm demeanor, we worked vigorously to frame the firm with those ideas in mind. We then shifted to implementation and were able to successfully run several campaigns within a limited budget and allow ourselves to continue to improve over time. Big Storm worked to reach the target audience by optimizing their “findability” in organic search engine placements, expanding paid search and display placements. We found appropriate keywords and seized appropriate placements for better visibility. In terms of demographics, we identified that their audience was moving to digital and they were being discovered by people using search engines and social media channels. On the Angel, Coil & Bartlett website, we improved the brand by ensuring photos of staff members were prominently displayed and that a philosophy of “We are here to help” was incorporated throughout the site and content. Over time, we have continued to make improvements to the website, social media, SEO and PPC for the firm. 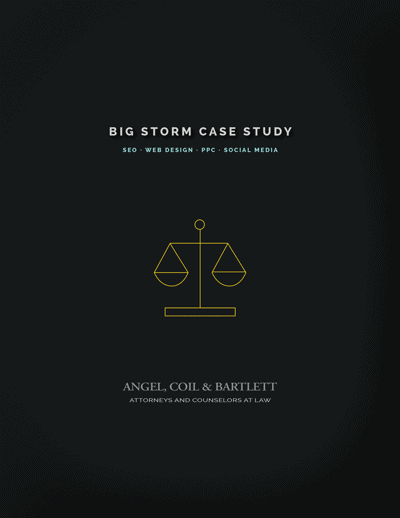 Explore our process in this SEO, PPC & Web Design Case Study featuring Angel, Coil & Bartlett.